When you investigate colonial families in southeastern Massachusetts, at some point, you will bump into Ebenezer Weaver Peirce (1822-1902). He was a Freetown son, an ardent military man, historian, and genealogist. 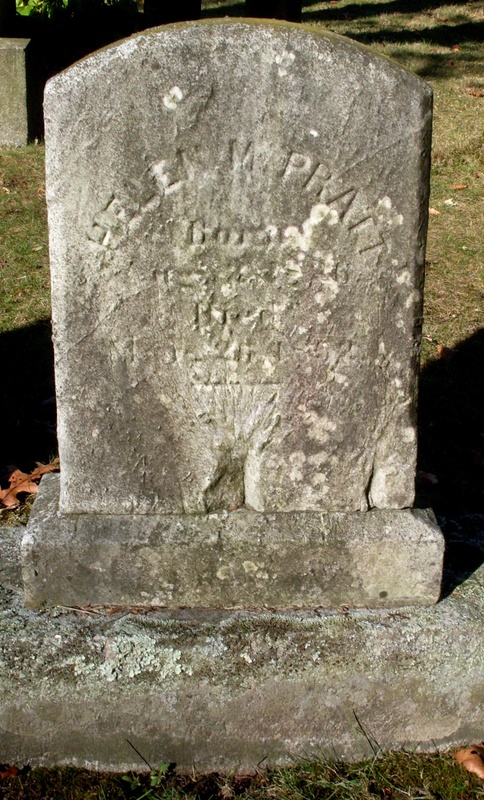 I’m deeply indebted to him for his contributions to the New England Historical and Genealogical Register in the 1860s, which include transcriptions of grave markers, genealogies of his own Peirce family, and sketches of related Paine, Rounsevill and Davis families. I trust (but verify) his work because Peirce lived with the families he chronicled. Census records show these folks were his neighbors. Peirce’s research and writing focused on the “Old Colony,” a term used to describe a region, once part of Plymouth Colony, home to native peoples for at least 10,000 years before Europeans settled in 1620, and bounded on three sides by the Atlantic Ocean. The area encompasses today’s Plymouth, Bristol and Barnstable counties. Ebenezer was a member of the Old Colony Historical Society (founded in 1852), and is listed among its directors in 1883 and 1892. His reputation secured him a book commission from the remarkable Native American woman, Zerviah Gould Mitchell (1807-1898), whose struggle for property rights usurped by ‘the whites’ deserves to be more widely known. The 1878 collaboration, Indian History; Biography and Genealogy, Pertaining to the Good Sachem Massasoit of the Wampanoag Tribe, and His Descendants, is absolutely fascinating (read the book over at Archive.org). While modern scholars have dismissed Peirce’s Indian History for its flawed methodology, Peirce’s Colonial Lists. Civil, Military and Professional Lists of Plymouth and Rhode Island Colonies 1621-1700, a formidable undertaking, remains an invaluable tool for New England research. Peirce’s prose style isn’t the plodding and treacly stuff typical of the Victorian era, except when he recounts military experience. With Revolutionary War veterans in his Peirce family history, especially, he betrays sentimentality and hero worship. I’d rather omit martial stuff entirely from my profile of Ebenezer’s profile. In fact, those so inclined can click to Wikipedia’s fine entry detailing his military career. However, on June 30,1862, when Ebenezer was 40 years old, the midpoint of his life, while he led Union Army troops at White Oak Swamp in Virginia, – Ebenezer’s right arm was shot off at shoulder. For a proud man in his prime, losing the ability to perform the most mundane tasks: dressing, bathing, shaving, eating, – was a blow that would devastate most people. Yet, three months after the trauma, Ebenezer joined his 29th Massachusetts Infantry regiment at Harper’s Ferry (Virginia) on October 8, 1862. He continued to serve (with leave for illness) and did not officially resign until November 8, 1865. While it’s clear Ebenezer had a strong will and drive, he didn’t pile up his accomplishments all alone; after June 1862, he wasn’t physically able. And his life involved others. He and Irene Paine (1825-1900) had married at the end of 1849. They had three children, but only one son survived. What was it like when this husband and father returned home with a mutilated body and life-long disability? We can take Ebenezer and Irene’s divorce, a rare event then, as evidence that some relationships suffered. And while we can only imagine how Ebenezer’s various domestic dramas played out over the years, we know one battle, between two women, ended up in a Fall River court. …in which I’ll share some interesting details of Ebenezer Peirce’s life and the people in it, – including juicy newspaper accounts of a court case for assault and battery. 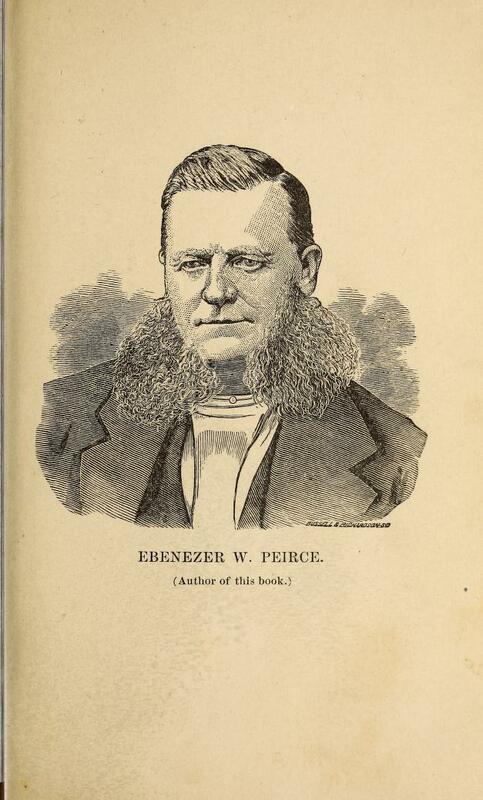 The image of Ebenezer W. Peirce (with crazy facial hair) is from the 1878 Indian History he wrote with Zerviah Gould Mitchell. RECORD: 1866, VOLUME:20 (1866), PAGE: 213; Posterity of William Davis, of Freetown | RECORD1861, VOLUME 15 (1861) PAGE 237 – A brief Sketch of the Early Branch of the Pain Family, Settled at Freetown, Bristol, Mass. May 25, 1862 is the day that Benjamin Hathaway’s domestic drama series jumped the shark for me. Our 54-year-old, four-time widower had a grown daughter (Sarah, 22), two young daughters (Angeline, 6 and Helen, 5) and two sons, Benjamin, 8 and James, 2). The Hathaway household was in need of a woman with skills in childcare and home management. Surely, Benjamin’s eldest, Sarah, stepped into the breach left by her latest dead step-mother, but fostering four half-siblings would have been overwhelming. If marriage was the solution to this dilemma, the best qualified candidates would be found among local widows with a child (or children) near in age to his own youngsters. Instead, Benjamin married another single woman, approaching 30 years his junior. Did he not consider his eldest – choice of bride under these circumstances was, at the least, unseemly. 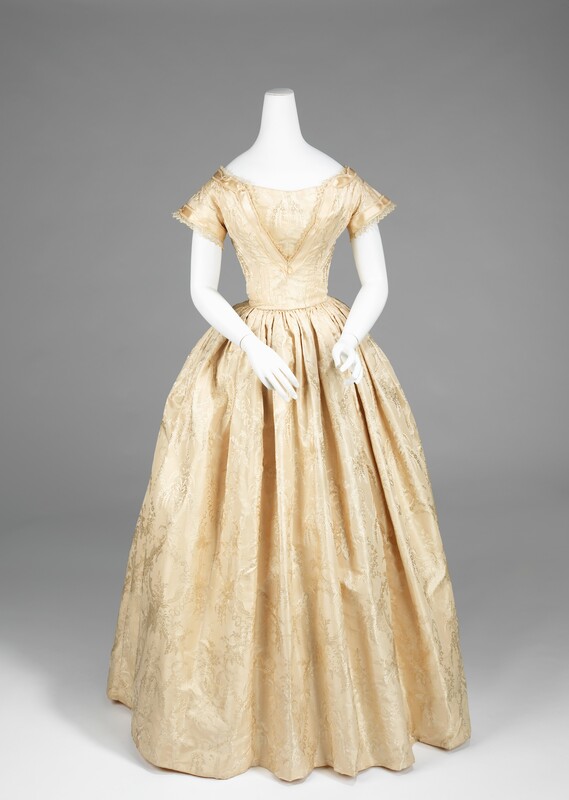 Susan E. Brown may have worn a wedding dress like this lovely example circa 1860. Susan Elizabeth Brown was 26-year-old, school teacher, and her parents, Samuel Rounseville Brown (1809-1865) and Susan L. Ashley (1809-1854), were younger than her husband. Susan’s mother had died eight years before, and four siblings had died too. When she married, Susan had three, younger siblings, Josiah, Mary, and Emily. Samuel R. Brown was a New Bedford carpenter, essentially, the same age as Benjamin Hathaway. Since 1854, he had also been a widower with children. Samuel had in Susan his own housekeeper, caregiver and childminder. Would he have supported his eldest daughter’s marriage to an older and encumbered man? Maybe. Samuel’s only son, Josiah, was nearing 24 years, Mary, 22, and his youngest, Emily, 12; the Browns could get by without their big sister looking out for them. However, as the Browns’ lives played out, Susan never stopped looking out for her Brown siblings, even as she navigated her eventful marriage to Benjamin Hathaway. Three months after Susan married, (August 10, 1862) her father married Ruth Barnaby (Evans) Rounseville, a widow with four children. (1) The 1865 state census of May 1, shows a household led by Samuel and Ruth Brown, with Emily Brown and four Rounsevilles (Caroline, 24, Imogene, 21, Walter, 15, and Mary, 12). Over in the Hathaway house, after Benjamin and Susan, there is Susan’s sister, Mary F. Brown, five Hathaways from prior marriages… and two more, Franklin (2) and Edmund B. (9 months). – Just three weeks later (May 21), Samuel Brown was dead at age 56. It appears that Benjamin secured a house near his own, on Purchase Street where the unmarried Browns resided after their father’s death. The 1870 federal census, shows a household comprising Mary (30), who kept house, – Josiah (32), who was a baker, – and Emily (21) taught school, as her sister Susan had done. A ripple of happiness touched the Brown – Hathaway families the next year when Emily Ann married Albert Swift (November 28, 1871), though the idyll was a short one. In November 1873, Emily (Brown) Swift died of consumption (tuberculosis), at the Hathaway Purchase Street address. (2) Six months after Emily (in May 1874), Susan’s brother Josiah died, also at the Hathaway house. It seems apparent that Susan took in her ailing siblings, and that she her sister Mary nursed them until the end. Susan and Mary were the sole survivors of their Brown family. Whether Susan had to cajole her husband to utilize his resources to help her family, or whether Benjamin was naturally disposed to generosity, I don’t know. On the face of it, Benjamin was demonstrably pleased to have a fresh, new missus. Ten months after the wedding, Susan gave birth to a third son for Benjamin, Franklin Hathaway. The next year, Edmund Brown Hathaway was born, and Samuel Brown Hathaway came along in 1868. A daughter named, Susan Elizabeth Hathaway, arrived in Oct 1869. Finally, John Gael Hathaway was born in 1871, when Benjamin was 63 years old. As early death was all too common in the 19th century, not all of Susan’s children survived. Edmund died at 14 months (dysentery); five-year-old Samuel succumbed to whooping cough in 1873, the same year her sister Emily died. However, the remaining three of his children with Susan reached adulthood when Benjamin, at long last, made one of his wives a widow in November 1890. Ten years after Benjamin’s death, Susan remained in the family home on Purchase Street. The 1900 census shows she shared it with step-daughter, Sarah, and Sarah’s husband Frederick Mickell, unmarried stepdaughter, Angeline and stepson, Benjamin, as well as her children, Susan and John, and Mary Brown, her sister. (4) Early in 1903, Susan was diagnosed with stomach cancer and she died six months later on October 4. In New Bedford’s Oak Grove Cemetery, Benjamin Franklin Hathaway’s family plot is an interesting one. The eye is drawn initially to the granite obelisk thrusting skyward; one side reading, “IT IS FINISHED.” and below that, “B.F. 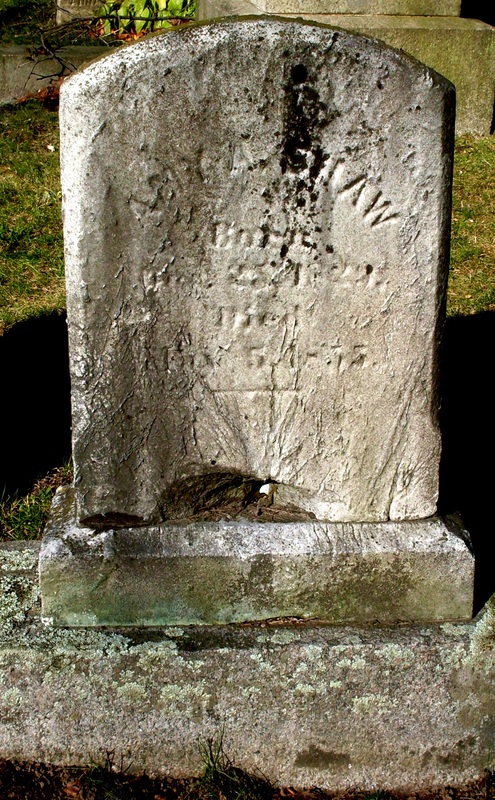 Hathaway.” Around it are the matching, traditional, head stones. No matter how long the marriage or how fruitful, equal honors are accorded to each Mrs. Hathaway. To me, these memorials convey a lovely sentiment, and stand as testament to deep love in this family forged through heartbreaking loss and upheaval. However, in the matter of the towering gray stone, meant to portray masculine accomplishment, – it doesn’t work for me. Knowing the family history, it suggests an elephant seal surrounded by a harem. 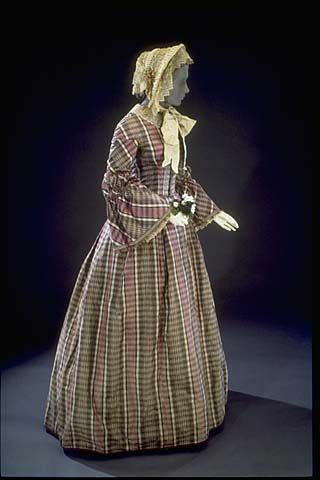 (1) Ruth Barnaby (Evans) Rounseville was the widow of Walter Scott Rounseville who died in California in 1853. In 1855, she was a neighbor of the Browns in Freetown. (2) Emily’s husband, Albert H. Swift, died of the same disease that killed his wife, just two years later (1875). (3) The closing lyrics of “The End” by Paul McCartney from the Beatles’ Abbey Road album, 1969. (4) Susan’s sister, Mary Frances Brown, never did marry. She continued to live with the Hathaways until her death in 1913. New England Historic Genealogical Society, Boston, Massachusetts; Massachusetts Vital Records, 1840-1911; New Bedford marriages 1862. New England Historic Genealogical Society, Boston, Massachusetts. Massachusetts State Census 1855, 1865. New England Historical and Genealogical Register; Vol 20 (1866); Posterity of William Davis of Freetown; Gen. Ebenezer W. Peirce. Ancestry.com; Bristol County, Massachusetts Probates, Vol 256-257,1889-1891.Ancestry.com; Massachusetts, Death Records, 1841-1915. National Archives and Records Administration (NARA); United States Census 1840, 1850, 1860, 1870, 1880, 1900, 1910. We recognize Benjamin (modestly describing himself as a carpenter), his daughter Sarah, and Benjamin junior. Who is the 57-year-old, Sarah Hathaway? She is Benjamin’s older and unmarried sister (and likely inspiration for her niece’s name). Whether Sarah moved in immediately after the double death blow, or whether Benjamin asked for her help, we can’t know, but her services, and womanly influence, would have been considered essential for that motherless baby boy and teenage daughter. However, Sarah’s tenure as lady of the house could only be a short-term solution. Imagine yourself, approaching 60 years, and dealing every day with a rug-rat / toddler, the mood swings of an adolescent girl, in addition to provisioning, cooking, laundry, and household maintenance. It would be utterly exhausting! The situation certainly took a toll on Sarah, and probably, on all the Hathaways. A mere eight months after a heartbreaking mother-and-child funeral, Benjamin had an answer to his prayers. On January 6, 1856, Angeline Evans married Benjamin F. Hathaway. Her mission: to raise a 22-month-old, guide a teenage girl, and see that her business-minded husband left the house each day with matching socks. She was single and had just turned 30. Why would she do it? Angeline’s father, Thomas Evans (1790-1870) was, like Benjamin, a ship carpenter. His sons, Thomas and David Evans, did the same work and had moved between Massachusetts and Rhode Island, to towns where sailing vessels were being built and repaired. Benjamin likely knew the family from their shared Freetown roots. They may well have worked in shipyards together. They were probably familiar with one another’s circumstances and shared sorrows. Thomas and Ruth (Merrick) Evans had six children. They’d lost one son (George) on a 1843 whaling expedition. In 1850, they lost their youngest, daughter Mary, at 19, of consumption (tuberculosis). Another son (Jerome), had gone to California. Angeline was the only daughter left. Did she fear she’d be left an old maid? Maybe. Was she in love with the older, experienced Benjamin Hathaway? Highly doubtful. Did she observe in her brother Thomas’s marriage (to Abby Terry), a model of love and support she believed possible to create for herself? A rationale along these lines seems most probable to me. Angeline was a mature woman who knew enough of the world to realize whatever life she chose would have its share of challenges, and rewards. Ten months into managing Benjamin, the house and children, Angeline produced a daughter, Angeline E. Hathaway. Thirteen months later, she gave birth to another girl, named for Benjamin’s dead wife, Helen Pratt Hathaway. (This makes me think Angeline may indeed have been angelic.) Then, wonder of wonders, as the year 1860 began, Angeline delivered a son, James L. Hathaway. Benjamin now had his (male) heir and a spare. Was there any inkling things were too good to last? Angeline Evans Hathaway gave her whole heart to her marriage, literally. On June 6, 1861, she died of “disease of the heart,” at 35 years of age. Benjamin was into his 50s. He buried four wives and five children, and had five living wholly dependent on him. War loomed on the horizon, making the economic outlook uncertain. Benjamin was tasked with making difficult decisions for his real estate holdings (valued at $18,500 in 1860) and his lumber business. His daughter Sarah was 21, capable of caring for the little ones and keeping up the house to reasonable standard. As the year 1861 ticked down, Benjamin had no compelling reason to seek a wife. Even so, his marital adventures were far from over. Ancestry.com. Massachusetts, Town and Vital Records, 1620-1988; Freetown and New Bedford, MA. Ancestry.com. NARA, United States Federal Census, 1830, 1840, 1850, 1860, Warren, RI; Freetown and New Bedford, MA. Ancestry.com, Massachusetts State Census, 1855. Amy Ann Shaw was something of a 20-year anniversary gift to her parents, Job Shaw (1782-1862) and Amy Macomber (1788-1882). Job and Amy’s fifth child, Job Lawton, was born in 1821, after a dozen years of marriage. For the next eight years, the couple managed work, marriage and child-rearing. Though the event wasn’t planned, the birth of a daughter, on October 25, 1829, delighted them. Amy didn’t have siblings near in age, she would have been fascinated by the activities of her elders. Amy’s oldest sister, Phebe, married when she was a toddler. In 1837, when she was eight, her sister Adaline married, and died the year after, perhaps, her first direct experience of loss. Her brothers, Frederick and Job, married, too. They were both ambitious men (like Benjamin Hathaway), active in the grocery trade, and lived near. They likely adored their baby sister. What did Benjamin know, – and when did he know it? Benjamin certainly knew the Shaws. Any day, he might, literally, bump into the elder Job or his sons; they lived and worked in the same part of town. The Shaws would have been aware of the sorrows at the Hathaway house. Events would have been common knowledge among the neighbors. How long did Benjamin know the Shaw’s daughter before she became his intended? It’s possible Amy Ann and her mother may have offered to help with housekeeping or care for Sarah and little Benjamin, Jr. in the aftermath of Helen’s death (March 1852). However, and whenever, they met, something about Amy inspired hope in Benjamin that the third time would be a charm. 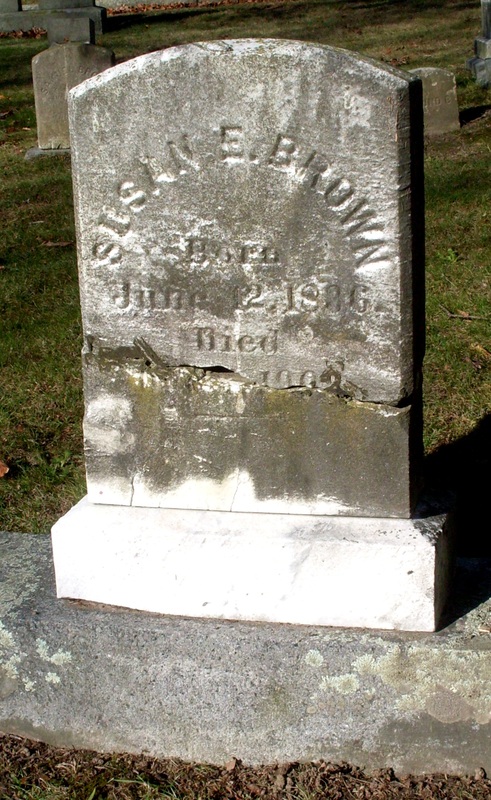 On Monday, May 9, 1853, the Reverend William Stowe married the 45-year-old widower to the 23-year-old Miss Shaw. Nine months and three days after tying the knot (February 12, 1854), Amy presented Benjamin with a son. No one will be surprised to learn, he was named Benjamin Franklin Hathaway, Jr.
Benjamin, senior, congratulated by family, friends, and his network business acquaintances over the next weeks, must have felt reborn. His midlife marriage to a younger woman proved his desirability. A healthy son proved his virility. He had his longed for heir. He could relax, contemplate happiness. Toward the end of 1854, Amy became pregnant again. Benjamin junior’s first birthday was surely cause for celebration with friends and family. The former house of sorrow resounded with life: baby giggles, teenage Sarah’s laughter, and the buzz of conversations. Though busy serving drinks and cake, and wiping sticky little hands, inside herself, Amy felt the warm glow of contentment. Three months after that happy gathering, in May 1855, Amy went into labor and died delivering a stillborn child. She was 25. Amy Ann Shaw’s tenure as Benjamin F. Hathaway’s wife was the briefest, lasting one year, 11 months and 26 days. Though her life was tragically cut short, she did secure immortality, as mother of Benjamin’s son. Ancestry.com. Massachusetts, Town and Vital Records, 1620-1988; Westport and New Bedford. Ancestry.com. NARA, United States Federal Census, 1810, 1820, 1830, 1840, 1850; Westport and New Bedford, MA. GenealogyBank; American Traveller (Boston, MA); Thursday, May 17, 1855, Page 4 (Deaths). GenealogyBank: American Traveller (Boston, MA); Saturday, June 14, 1862, Page: 3 (Deaths). Benjamin mourned first wife a year, a decent, respectful interval. He was a man in his prime, at 41, and far from done. He embarked on marriage round two with Helen M. Pratt, another Freetown girl, and 18 years Benjamin’s junior. The age gap suggests Benjamin’s prime motive was not to create a partnership of equals at home, but, rather, to procreate. Though he had an heir in nine-year-old Sarah, the female (then, as now) was perceived as less than the male. While Benjamin certainly loved his daughter, he believed all his striving, his shrewd investments, and years of sweat building his carpentry trade and lumber business would be for nothing, if he couldn’t leave it to a son. And Helen, a healthy and agreeable 23-year-old, would make him a suitable wife and mother of his progeny. Helen was born on August 3, 1826 to John Vilett Pratt and Melancy Pickens. She was, perhaps, the third child and third daughter. Census records for 1830 and 1840 suggest four girls were in the household, but the only names on record are Charlotte and Helen. Helen’s father was a captain of commercial sailing vessels, probably, in coastal waterways (according to his 1868 obituary, he began his career as a cabin boy on an African slaver). He would have routinely been away. Melancy and her girls would have missed him, fretted over the dangers he faced, and prayed for his safe return. Homecomings would have been times for celebration, tempered by prayers of gratitude. Such a life would have taught the three Pratt women patience, self-reliance, and to enjoy simple blessings. When 20-year-old Charlotte Pratt told her younger sister she’d accepted George Hall’s proposal of marriage, joyful, girly shrieks echoed through the Pratt house. This experience with wedding preparations would engage the entire family, and affected Helen deeply. 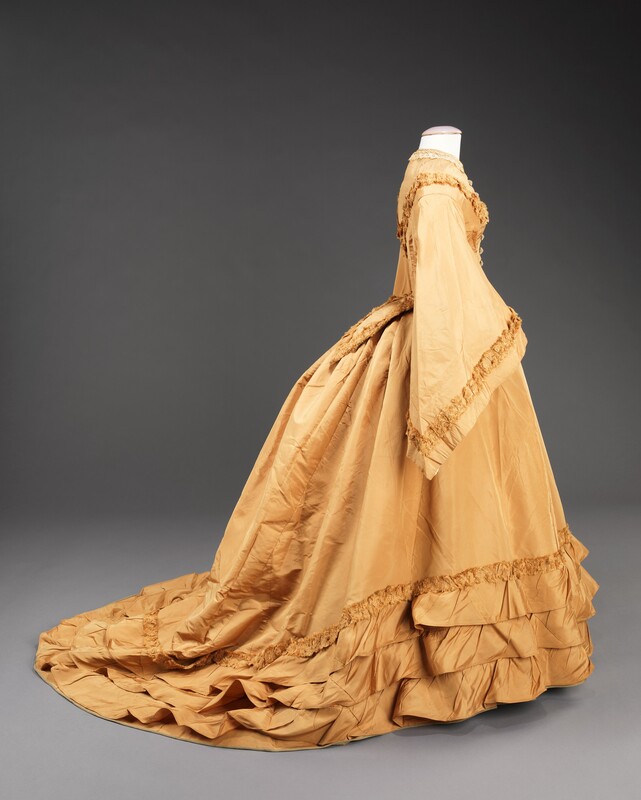 A wedding dress would have been made or a best frock refashioned, but more importantly, Charlotte required everyday clothing, linens, and goods essential to set up housekeeping. Food and drink needed to be procured and prepared for the newly united Hall and Pratt families to enjoy, after the modest ceremony. On Charlotte’s big day in 1843, summer blossoms of yellow, orange, blue and white dotted meadows and roadsides. Helen wept with that mix of happiness and sadness that arise from events that are both endings and beginnings. As the feasting wound down, Charlotte and George would’ve tried to quietly slip away, but not before the sisters shared an emotional embrace. I imagine, Helen consoled herself with thoughts of the sort of aunt she would be to her sister’s children. Alas, that scenario never came to pass. Three years after she married, Charlotte Pratt Hall died, and left no children. 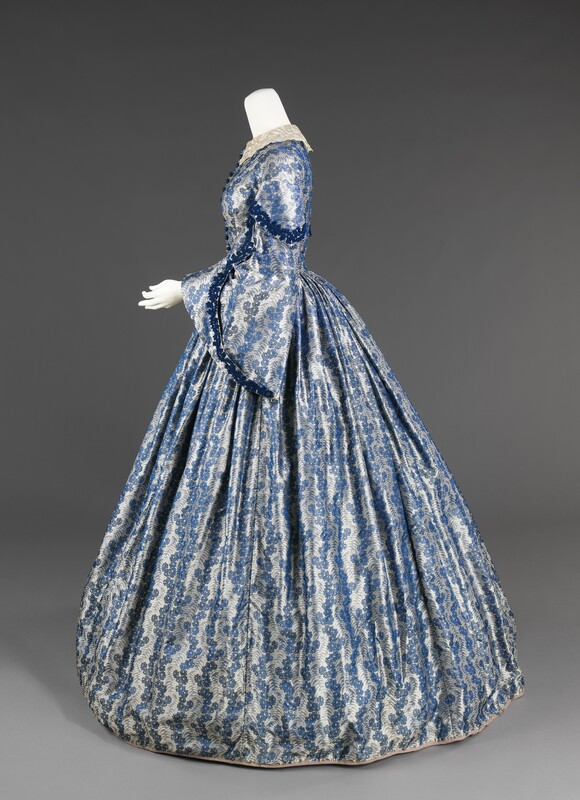 Silk wedding dress 1845-1850. Credit: Archive.org; Metropolitan Museum of Art. 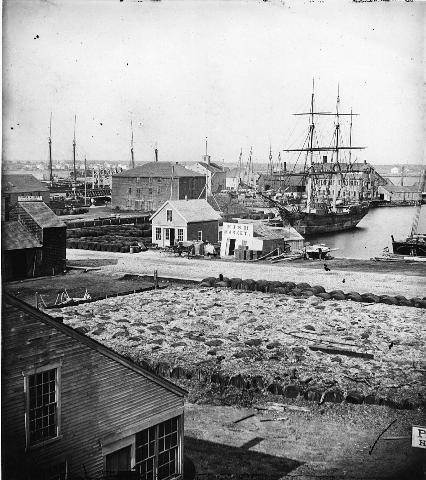 Helen’s father and Benjamin Hathaway had likely done business together in New Bedford, maybe, as ship captain and shipwright; maybe, Pratt delivered the lumber Benjamin sold. Whether John acted the matchmaker, or Benjamin was the pursuer, in 1849, Helen was presented with the biggest decision of her life. The bustling port of New Bedford, would be more interesting than sleepy Freetown. Taking over a widower’s household that included a step-daughter might daunt another woman, but Helen Pratt was competent and confident she could make and keep a good Christian home. Helen also realized that year, she was Charlotte’s age, not the age she married, but 23, the age she died. Perhaps, Helen saw Benjamin’s offer as a blessing. On Wednesday, October 3, 1849, Baptist elder, Samuel S. White, married the widowed carpenter and the “maiden” in Freetown. Nothing further appears on record until February 21, 1852 when the death of Benjamin and Helen’s one-day-old daughter, Charlotte M. Hathaway. The following month, Helen Pratt Hathaway died from “Congestion of Brain.” She was 25 years old, and like her sister Charlotte, she had no surviving child. Benjamin’s second marital outing lasted, less than two and a half years, and resulted in another lost child and another dead wife. He spent another year in mourning, but he hadn’t forgotten his grand plan. He would marry again. Next: Third time a charm? Ancestry.com. Massachusetts, Town and Vital Records, 1620-1988; Freetown and New Bedford. Ancestry.com. NARA, United States Federal Census,1830, 1840; Freetown, MA. GenealogyBank; Newport Mercury (Newport, RI); Saturday, April 18, 1868, Page: 3; Capt. John V. Pratt. Benjamin Franklin Hathaway found his first bride in his hometown. It is tempting to think, having set himself up in the world, he returned to Freetown to claim his childhood sweetheart. However, Ann Maria Bliffins (Bliffens / Blivens) was 20 years old and Benjamin at 26, had been away for about 10 years, making a longstanding romantic relationship doubtful. Ann was the youngest child of Anson and Rachel (Read) Bliffins. They married in 1796 and produced sons right away (Anson Sheffied and William Read). Their good fortune was short lived. Over the next eight years, three girls were born, – and died (Rebecca, Mary Ann and Mary). Rachel gave birth in 1808 to another son, Thomas Valentine. He thrived. Rachel likely reconciled herself with the belief daughters weren’t part of the Lord’s plan for her. Six years passed. In May 1814, as all sorts of tender things sprang to life, Ann was born. The baby would have been a source of worry with every tiny sniffle, and later, with every bump suffered in a tumble. Anson and Rachel’s memories of little girls lost would never have been far from mind. Yet, Ann passed all the danger marks. It’s natural to suppose an unexpected,and only daughter would be doted on by older parents, but I have reservations. In 1822, when she was just seven years old, Thomas, the brother she would have toddled around the house after, obtained his Seaman’s Certificate in Newport, RI, – a week before he officially turned 13. This is surprising for a boy with two living parents, and the only son at home. (1) Little Ann likely wept bitter tears at his departure, and, perhaps, for years afterward. She had suddenly become an only child, and she may have felt very lonely. It was common for an unmarried daughter to care for her aging parents until they died. As a young woman, Ann certainly engaged in cooking and cleaning, laundering clothes and linens, keeping fires going, and acting nurse when her mother or father were sick. Ann knew what the future held for her as she neared adulthood. Her decision to marry tells us she wanted more in life. However it was exactly that Ann and Benjamin found each other, these Hathaway and Bliffins families were certainly acquainted in that small rural community. The betrothed couple professed their marriage vows in Freetown on Sunday, August 27, 1834. There is every reason to believe Benjamin was an attentive husband, but the couple remained childless for six years. At last, the birth of Sarah M. Hathaway (2), on September 21, 1840, was recorded in New Bedford. That healthy little girl (3) must have brought great joy to the couple. In 1843, another girl was born, named Ann (Anna) Franklin. The little one died of “brain fever” before her second birthday in summer of 1845. Ann became pregnant soon after, and another girl, named Ann Franklin, was born the last day of June 1846, but died at four days, of a “diseased heart.” Ann gave birth in November 1847 to yet another Ann Franklin. The parents may have dared to hope with her, but she died, at nine months, of cholera. 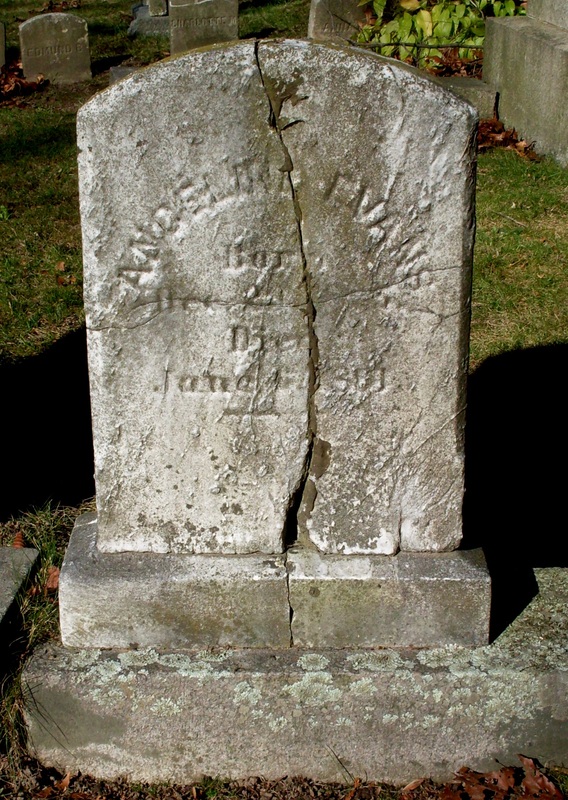 Having buried a third daughter in August 1848, weathered pregnancies, births, sicknesses, and seeming unrelenting grief, Ann herself fell ill. One month later, September 1848, Ann Maria (Bliffins) Hathaway was 34 years and four months. (4) Three days before her passing, Ann and Benjamin marked their 14th wedding anniversary. Ann was the help meet who made a home for her husband and gave him children. She also moved that household, at least twice, probably three times, as her husband made more money, and bought real estate that improved his finances, and gained him respect in the New Bedford community. Benjamin Hathaway was certainly stunned; without Ann, how would he get along? As a recent study shows, men aren’t very good at multitasking. With a motherless eight-year-old, a house, and business demands, Benjamin was in trouble. Then, as today, goodhearted family, friends, and neighbors would have done what they could to help, but that couldn’t be counted on as a permanent solution. 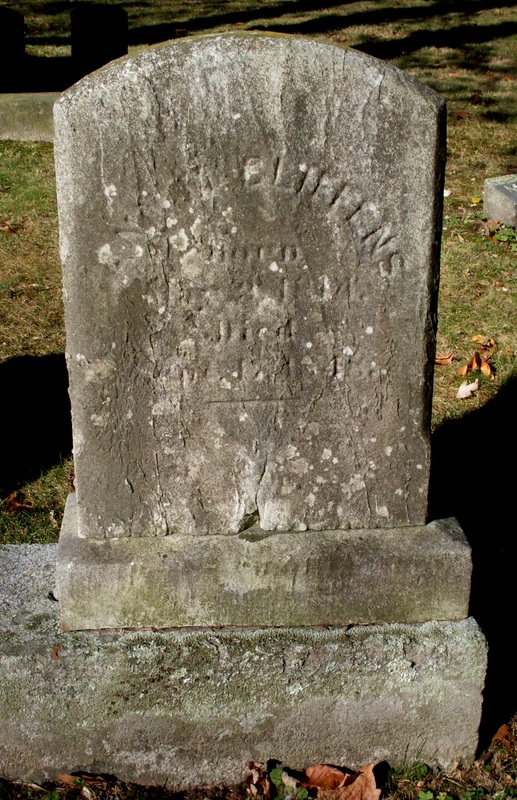 (1) Thomas Valentine Bliffins’s (1808-1886) compelling reason for leaving remains unknown. He proved well-suited for life abroad, as he became a Master Mariner and ship captain. He lived in San Francisco, CA for decades and appears, to have never married. (2) Benjamin and Ann’s daughter, Sarah, may well have been named for Benjamin’s older unmarried sister (Sarah “Sally” Hathaway, 1797-1866). Sarah lived in to manage her brother’s household, at least, once (1855). (3) Sarah M. Hathaway (1840-1925) married Frederick A. Mickell, buried him and passed away, just a month short of her 85th birthday. (4) In modern medicine, jaundice (yellowing of the eyes and / or skin) is a symptom, not a cause of death. Ann probably died of liver failure, which resulting from an underlying cause. Ancestry.com. NARA, United States Federal Census,1810, 1820, 1830, 1840, 1850, 1860, 1870,1880. Ancestry.com. Massachusetts State Census, 1855 and 1865. Ancestry.com.US City Directories, New Bedford, MA 1830-1890. What comes to mind when you find out a person has been married five times? I thought, Oh…there’s got to be a bit of scandal here. Did a wife or two run off? Did one wife, or two wives, or more wives, meet mysterious ends? Now I feel a bit ashamed of my suspicions, for the true story of five-times married Benjamin Franklin Hathaway calls to mind Lemony Snicket’s A Series of Unfortunate Events – minus the snark. Benjamin F. Hathaway was born on May 1808, in Freetown, Massachusetts. He was the seventh known child, and fifth known son of Jael and Mercy (Davis) Hathaway. Like most families in the early American republic, this Hathaway family of middling circumstances, farmed with all able bodies pitching in. By 1830, Jael (and Mercy) were empty-nesters, all their children flown. Benjamin probably left home in his early teens. The youngest of five Hathaway, sons, his future depended on acquiring a skilled trade. It’s likely, his father, Jael Hathaway (or someone in the family circle) found the boy an apprenticeship with a master carpenter and that would lead him away from rural Freetown. In the southeastern Massachusetts of the times, the action was in the village of New Bedford. There the whaling industry would expand opportunities for many workers, and the favored few with capital would reap incredible riches. Whaling grew New Bedford, MA from a village into a bustling city with great wealth. Benjamin F. Hathaway plied his carpentry skills on A. Robeson’s wharf as a ship joiner, and found employment as a house wright, during the 1830s and 1840s. But Benjamin wasn’t content to remain an employee. Sometime before the year 1849, he partnered with Thomas Booth to establish Booth & Hathaway, house-wrights and ship joiners. Booth & Hathaway at 158 North Water Street, soon added lumber supply to its offerings. By 1852, Booth & Hathaway was listed in the city directory at numbers 157 and 158 North Water street. The 1860 federal census indicates that Booth had left the partnership, and Benjamin remained in business on North Water Street as a lumber dealer. That year’s enumeration shows that Benjamin F. Hathaway owned real estate valued at $18,500 and personal property worth $2500. For perspective, compare this with the state of my direct ancestor, John P. Roane, a grocer in Lowell, MA who listed $1000 in real estate and $200 in personal property in that same 1860 census. Yeah, Benjamin had done well for himself (of course, it helped that he was American born and Protestant). During the next years, the nation suffered the bloody War of the Rebellion (Civil War), which affected business and fortunes, for good and ill. Things changed for Benjamin, for at the end of 1865, he pulled out of the lumber market and launched a new venture in coal, which appears to have been a sound move. Benjamin became a respected member of the New Bedford Board of Trade. Benjamin never completely retired. After 40 years as a proprietor, his company would keep him engaged to some degree, even as he entered his eighth decade. In many respects, Benjamin Franklin Hathaway emulated his Boston-born namesake (Benjamin Franklin, 1706-1790). He mastered a trade, kept learning, worked hard, and leaped when he recognized an opportunity. With persistence, Benjamin dramatically improved his material circumstances. Benjamin turned 26 in May that year. He had worked perhaps, 10 years, to become a reputable ship joiner and house wright, a man able to support a wife – and a family. United States Federal Census, 1820-1880. Ancestry.com; New Bedford, MA; Town and City Clerks of Massachusetts. Massachusetts Vital and Town Records.